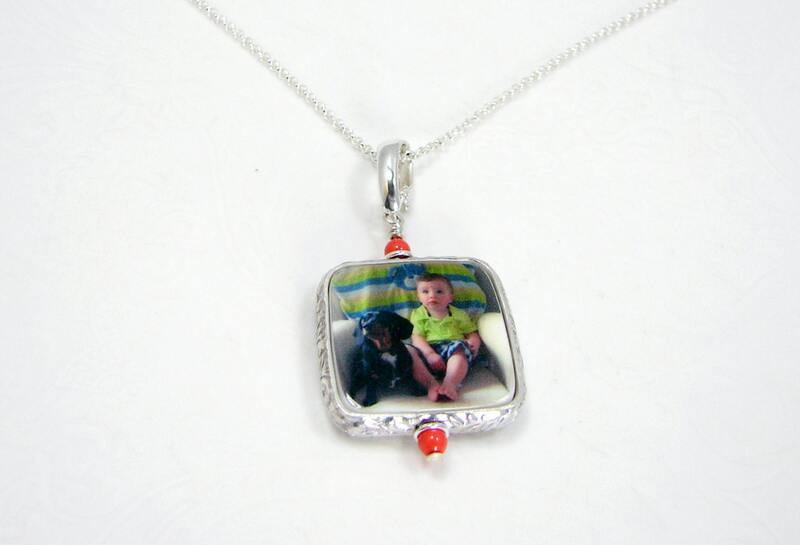 This very classy Rolo chain holds a gorgeous, photo pendant with rounded corners that is .75" X .75" in size. 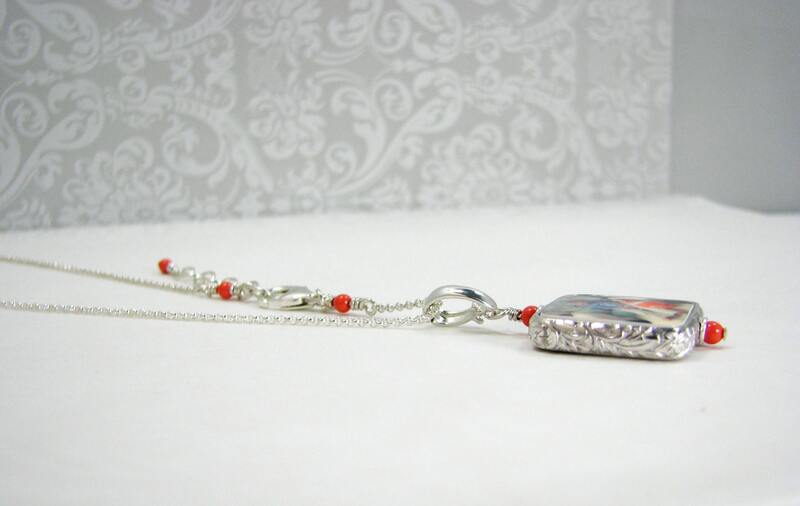 Chain length is available between 16" - 22"; just let me know your preference. 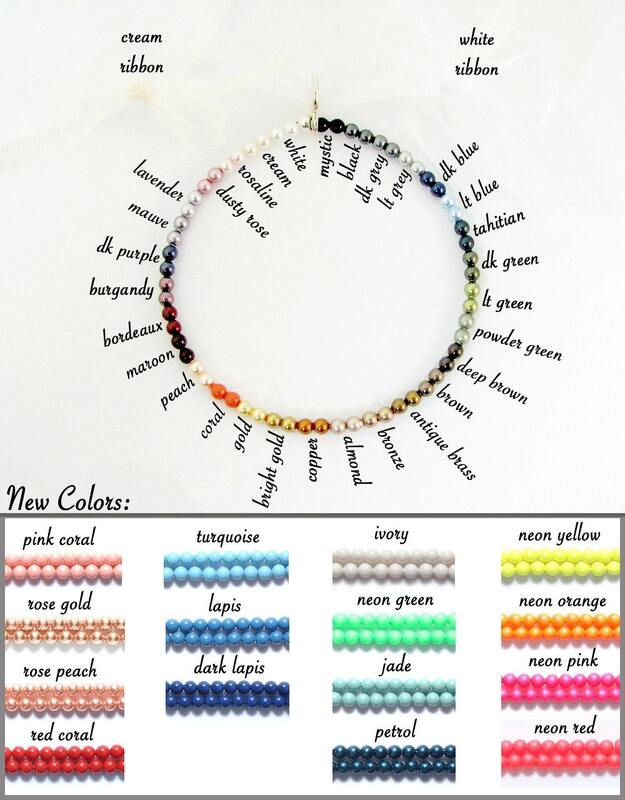 Select Swarovski crystal pearls to match your images from the options above. 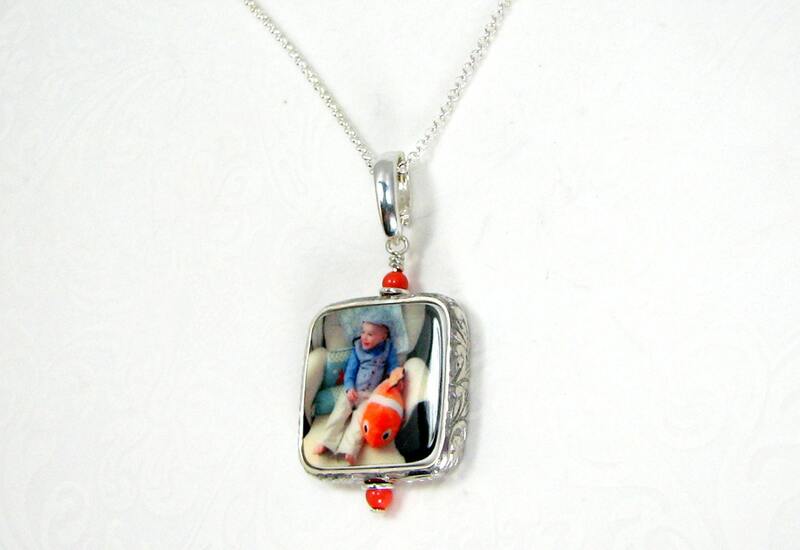 This pendant holds two photos, or a custom text image. 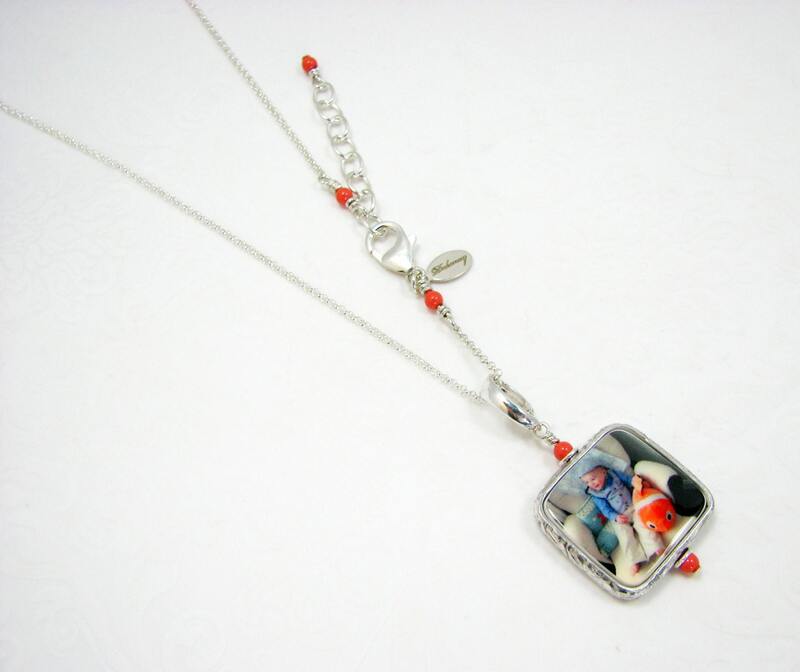 If you have a love note, a message, or a sentimental card you keep tucked away in a special place simply photograph it, and I can bake it into this pendant in place of one of the images.